The Child Support Enforcement Division (“CSED”) represents the Government of Guam with the mission of assisting parents in obtaining financial support necessary for raising their children, as mandated by both federal and local law. CSED does not represent either party. Most parents appear at child support hearings without an attorney and parents are always encouraged to attend. Children with unmarried parents need to have paternity established before support can be ordered. Establishing paternity identifies a child’s legal father. Guam allows parents to establish paternity voluntarily at the hospital or at anytime after leaving the hospital, by signing a Declaration of Paternity. 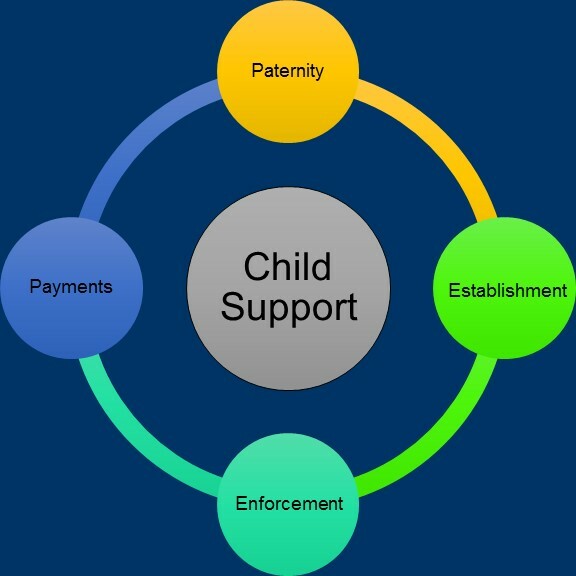 A child support order sets the amount of support a parent is required to pay. The order can also establish paternity, and require health insurance and payment of medical expenses. Support orders can be changed as the circumstances of the parents and child change. Guam CSED will take steps to enforce court orders for child support and health insurance. Enforcement action will be taken if the obligor parent does not pay or pays less than the amount ordered, or if the obligor parent does not provide health insurance for the child as ordered by the court. CSED will determine what type of enforcement action is to be taken, consistent with state and federal regulations. Most parents pay by payroll deduction. Employers withhold the support amount from the paycheck of parents who pay support and forward it to our State Disbursement Unit after receiving the notice from our office and then mail the payment to the parent receiving support. Other ways to pay is by mail, or in person. To help better serve you, you may schedule an appointment by calling our office at +1-671-475-3360.